Brilliant 23k gold fused to matte white fine silver posts with a luxurious texture of interwoven coral branches. 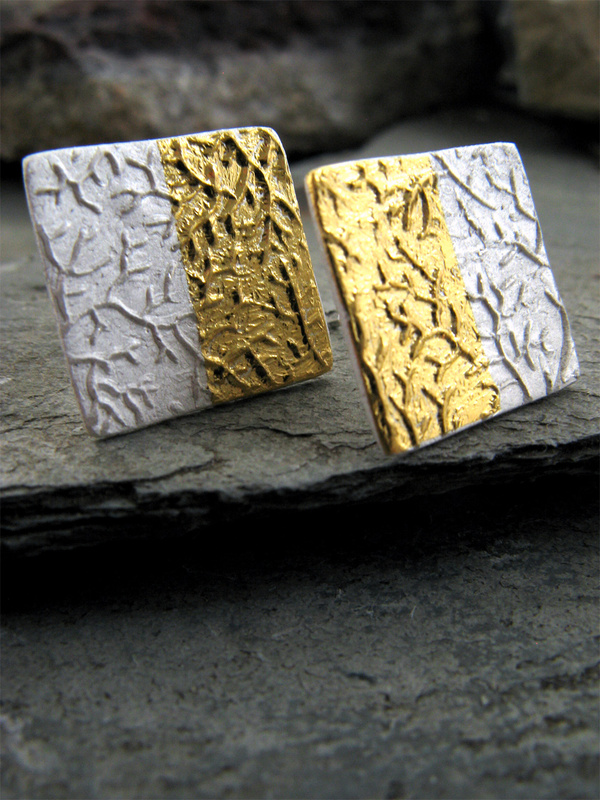 Love that elegant pairing of bright gold + white silver . .